Both Spotify and Apple Music have a robust catalog. If Apple does execute the idea of having exclusive tracks of unsigned and emerging musicians, which it doesn’t at the moment, then it will be a much interesting service. Until then Apple Music is nothing better than the competition. Plus, Spotify lets you listen to a new release for free, while iTunes gives you only previews after which you have to buy the release to listen to it. Apple Music’s radio, called Beats 1 seems like a great service. Apple has hired DJs to run the station by playing great music and organize discussions about music, and you can fine-tune the radio according to your music taste by skipping songs. But, the radio has so many technical issues at the moment like audio not loading or app crashing. Spotify’s radio lets you fine tune it as well in order to better understand what you want to hear and it doesn’t have the bugginess of Apple Music. Spotify seems to be better in recommending music as well. The ‘For You’ tab in Apple Music is a bit unimaginative where you get recommendations of mainstream artists that you most probably know, while Spotify’s Discovery feature offers you something fresh but similar to your taste. Apple Music has the ‘Connect’ feature, which is something like a social feature for communicating with artists, but it seems like totally redundant when you have so many ways of connecting with the artists through already established and widely used social platforms. Spotify has no social feature, but it has another very interesting feature, the Running feature. When you run Spotify detects your running tempo and plays music to match your speed creating an enjoyable and seamless music experience. 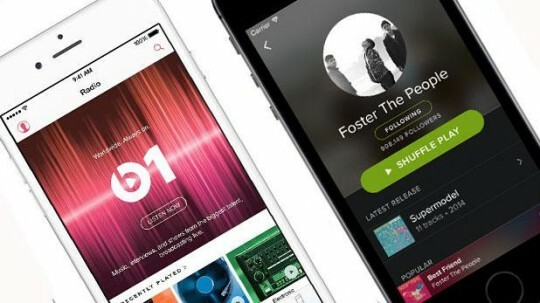 Also, if you want to share your favorite track, album or artist, you will want to do that with Spotify because it connects with a bigger number of social services, like Facebook, Twitter, Tumblr, WhatsApp, and Google Hangouts, while Apple Music lets you do that only via Facebook and Twitter. Plus you can discuss the music directly in Spotify with fellow users through a chat window and send the music directly to another Spotify user. There are many other small differences between the two services, but in reality there are no killer differences. However, we have the feeling that you’ll like Spotify better. 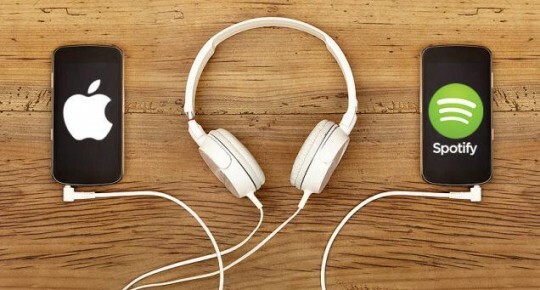 If you have an insatiable thirst for fresh sounds, then Spotify is for you. If you want to stick to what you already listen to, then Apple Music will do you good. In general, Spotify offers a much better experience, and hopefully Apple will try a bit harder to improve Apple Music. If you really love music streaming, go with Spotify.